Can you believe it's already the last week of July? I actually saw first day of school pictures in my Facebook feed today. WHAT?!? That just seems way too early. We still have one month of Summer break left and we have so much planned! I know that time is going to pass by so quickly, though. This past week was a blur. The end of last week wasn't the best and I had 4 big projects due in a 24 hour time period. My entire weekend was spent working, with the exception of going out to dinner with my husband for his birthday. And today? Let's not go there! I'm just now sitting down and it's almost 2 AM! Although the kids enjoyed this week's Camp Mom activities, some of them were essentially a Pinterest fail. This was the first week I relied on Pinterest for more than one activity. Lexie really wanted to do a fish theme this week and she chose a few while browsing Pinterest. Well. Even the fails need to be shared, right? Even though they weren't quite what we expected, the activities were definitely fun! For "Fish Week" we made a foil fish craft, created sensory bottle aquariums (Pinterest Fail), whipped up a Jello Aquarium recipe (Pinterest Fail) and made fish slime (Semi-Pinterest Fail). I'm learning that it's best to just alter some of our favorite activities instead of relying on Pinterest! For our "field trip" we planned to go to the Pittsburgh Zoo & PPG Aquarium, but it was way too hot outside. 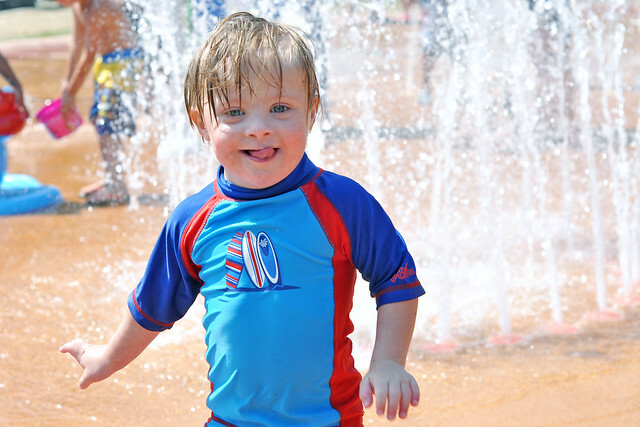 We changed our plans at the last minute and headed to the spray park instead! Mix 1 tsp Borax into 1 cup warm water. Empty glitter glue into a bowl, add 1 tbsp warm water and mix. Slowly add Borax mixture to the glue mixture while stirring. Form slime into a ball and press a fish into the front. Slide slime into clear bag, tie with a rubber band and embellish with a ribbon. We made the slime according to the Pinterest recipe, but it turned out much too dark. We tried it again using our slime recipe and it was a bit lighter, but still wasn't anything like the pictures on Pinterest. 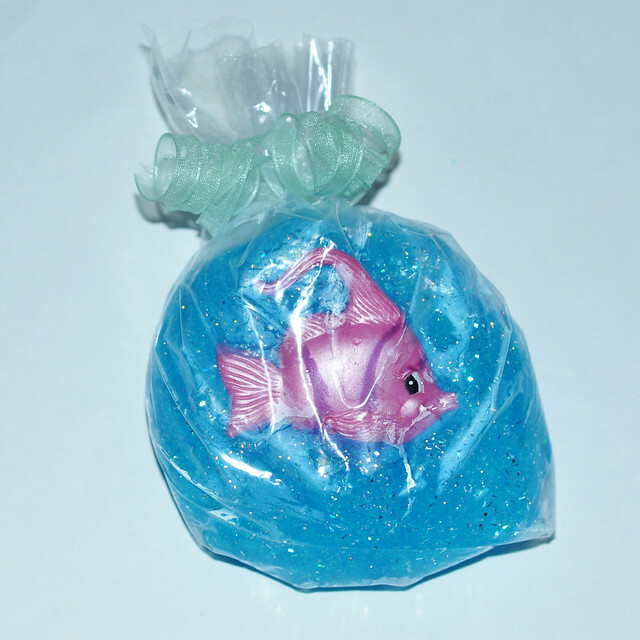 There's simply no way to see the fish if you put it IN the glitter slime, so we just pressed it into the front of the slime before sliding it into the bag! Although it wasn't what I expected it to look like, it was still very cute and my girls loved it! Draw a fish shape onto a piece of cardboard and cut it out. Cover the cardboard fish shape in a sheet of foil. Give the kids some sharpies and let them decorate their fish! 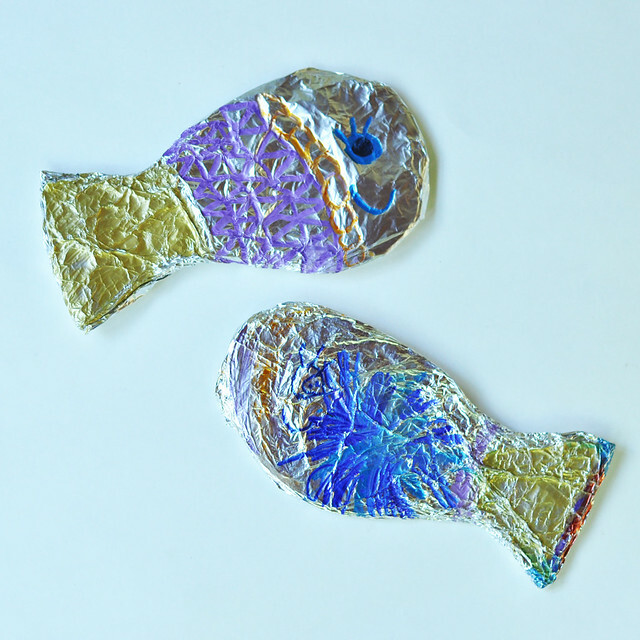 The foil fish craft is just a version of other foil crafts my kids have made before. It's really simple and doesn't require much preparation or assistance! Add about 1-2 inches of sand to the bottom of the bottle. Fill the bottle with warm water, add a drop of blue food coloring and shake. 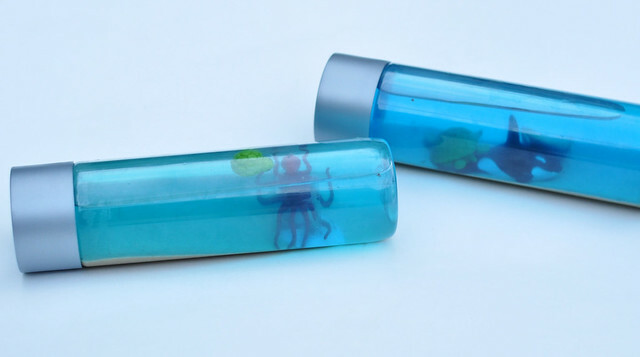 Drop plastic fish and sea creatures into the bottle. Seal the lid very tightly! The sensory aquarium bottles didn't look anything like how they looked on Pinterest but the kids (especially Liam) loved shaking them and watching the sea creatures and sand swirl around. I think I'm going to have the kids make these again. 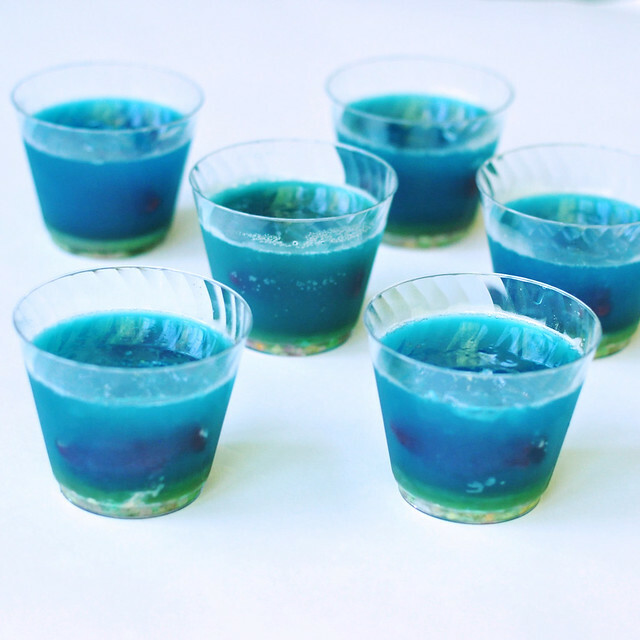 We're going to skip the sand and just use blue hair gel so the sea creatures "float" better! Cover the bottom of a clear cup with a thin layer of Nerds. Prepare Jello as directed and allow to cool to room temperature. Fill the cups with Jello and refrigerate. After about an hour, carefully push the Swedish Fish into the Jello. Allow to set for 4 more hours. Okay. I'm going to be completely honest. Out of all the activities this one was the worst in Camp Mom history! Even though the Nerds looked pretty at first, the liquid made the Nerds start to melt and lose their color. The Jello was too dark and the Swedish Fish could barely be seen. I think the finished product looked just like swamp water. And remember those melted nerds? They made the Jello taste sour. No thank you! Liam, however seemed to enjoy it. He had some after a meal of Spaghetti. By the time he was done he looked like a Zombie who devoured a Smurf. Sometimes a last minute change in plans works out well. The spray park was a much cooler option than the zoo on a 95 degree day! Plus, it was even better with friends! Here's to better luck next week! Have you had a Pinterest Fail lately? Linking up for Tuesday Talk. Now you are doing themes?! Love it! That foil project is so fun and could be varied in so many ways. I need to let my girls try that. I don't know if theme week will stick! We're back to random next week. The foil craft is fun and easy, though! May have been Pinterest fails but still look cool. I'm gonna be sad when summer ends and you aren't doing these anymore. It just wasn't what I expected. I think those pins lie sometimes! I'll try to continue with one activity a week! I've had many Pinterest fails so don't feel bad, Momma! I love that you guys are now doing a theme, too! So much fun! To be honest, I haven't had many Pinterest wins other than with recipes! The theme week was totally Lexie's idea! 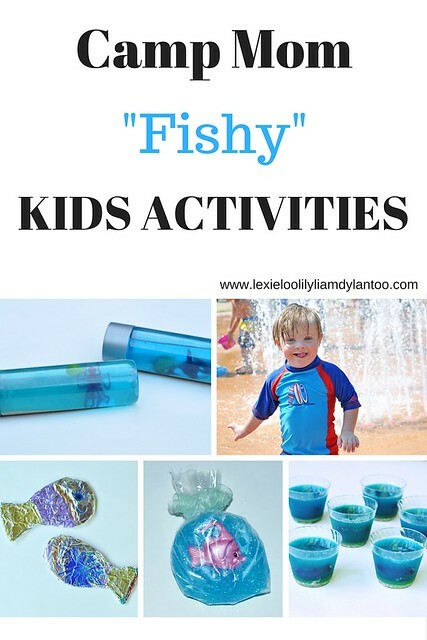 Those are really fun pinterest fishy activities! Thanks! The kids enjoyed them! Oh, I've had many Pinterest fails. Too many fancy cakes that fell apart. 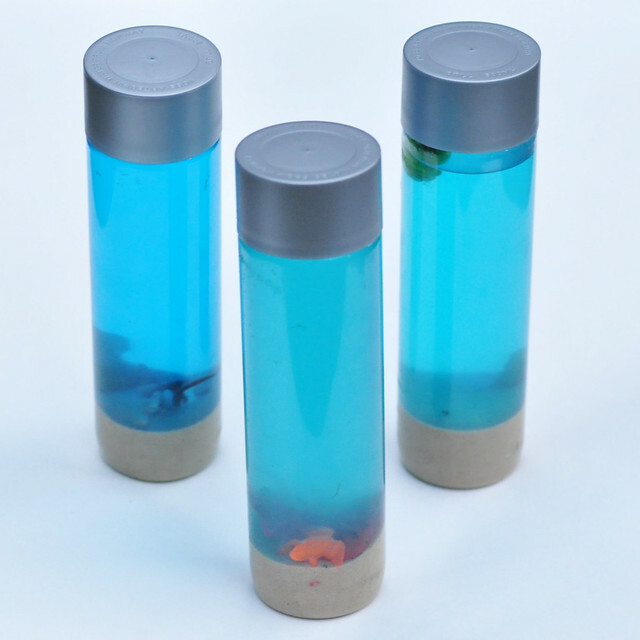 I do love the Sensory Bottle Aquariums and will try it soon!! I love the Camp Mom ideas. So fun! Thank you, Kim! My only Pinterest wins seem to be recipes! MOM OF THE YEARS. Can I be you? These actives are all so cute, thanks for sharing! Awww,thanks! But I definitely lost momentum this week. That being said, there's only 2 full weeks left of Camp Mom! These are such cute ideas! My lil guy is obsessed with fish! I know. We have less than two weeks before school starts. Crazy. Your snacks turned out really cute! First day of school pictures already?! That is just cruel! Loving these aquarium crafts, but those splash pad pictures are everything!